Find My Workspace lists over 95% of the business centres market in Edgware. Simply click Request Quote to check pricing for one office, or Add to Basket for multiple offices. 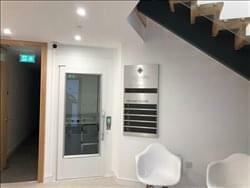 Based in Edgware, this professional centre offers professional workspace in a variety of sizes, with space ranging from 130 square feet to 222 square feet and a minimum tenancy of 12 months. The centre offers flexible solutions to furnishings with the space unfurnished by default, allowing you to bring in your own furnishings. Alternatively, furniture can be provided if desired. The centre also includes air conditioning, shared kitchen facilities, full internet service, hot tap and entry phone system. Additionally, tenants can access the centre 24 hours a day, allowing you to ditch the traditional working hours and set your own schedule. To obtain information for your selected London Borough of Barnet Business Centres, please tick the "Add to basket" box for each office you prefer and complete the form below. We will then send a detailed report via email.